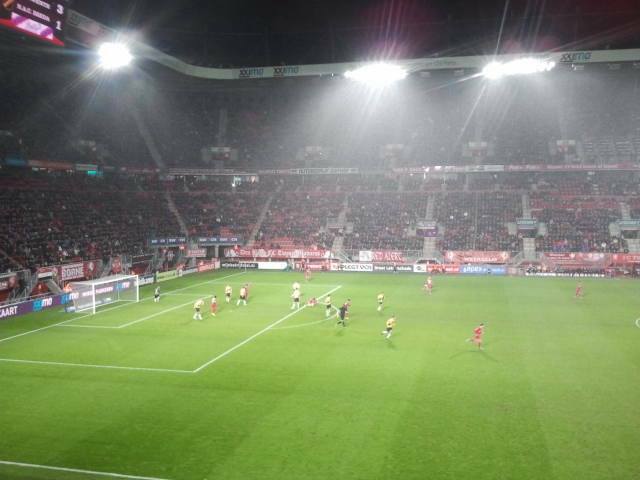 FC Twente is the pride of Enschede’s sporting world. Its impressive stadium and passionate supporters turn every home game into an impressive event. FC Twente’s good performances have made the football club an ideal ambassador for Enschede. But Enschede offers more top sport events than just football, such as the Enschede Marathon, the Singelloop (running event) and the Military (eventing), which bring thousands to the city every year. Enschede also has a blossoming popular sports life. In addition to innumerable facilities and clubs, its diverse green surroundings are the ideal place for recreational sports. A rising sport like golf has all the room it needs with three courses. The surroundings of Enschede are a true paradise for hikers and cyclists and there is plenty of potential for mountain bikers and inline skaters.